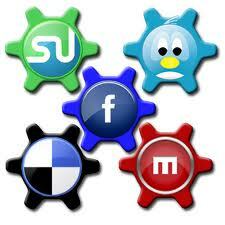 Being able to calculate the ROI of a company’s social media initiatives has been a big debate within the industry. 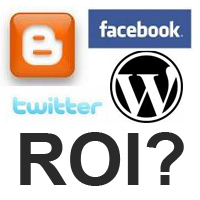 What is social media ROI? 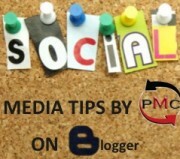 How do you know if your sales are stemming from sites such as Facebook, Twitter, or your blogs? These are questions that keep many businesses on the fence of starting to use social media for marketing practices. Of course, there are returns that are not necessarily financial, but let’s face it; all Chief Marketing Officers need to see what will happen to their bottom-line figures. Today, we will take a more in depth look at how marketing executives should be measuring their ROI. The first step in the ROI measurement process is to form a social media marketing plan that directly correlates to all corporate and branding strategies, without only focusing on the ROI. This means, figure out what your strategic priorities are. Do you want your social media marketing to increase traffic to your sites, improve brand awareness, or improve your search rankings? Do you want to see lead generations or are you planning on using social media as another form of customer service? There are different ways to measure the ROI depending on the strategies you choose. For example, using social media for customer service reduces costs associated with that department, which in turn increases the financial value of your strategy. Refer back to last Monday’s article to see how that is done correctly.